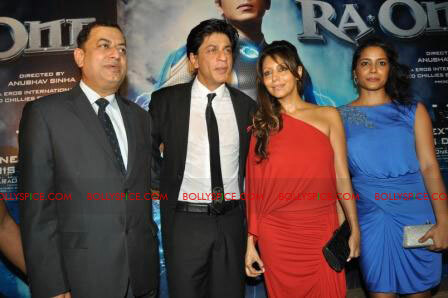 We have been telling you about all the unique tie-ins that Ra.One has been a part of for the promotions of the film. One of the coolest is not just a tie-in, but the company’s merchandise was actually used in the film…well blown up actually. We are talking about the German car company Volkswagen, who provided many of the cars you see rolling over and being tossed in the air in Ra.One. 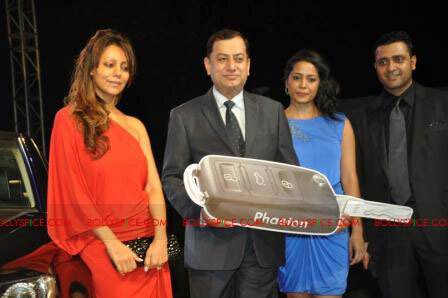 The partnership of Ra.One and Volkswagen was celebrated at an exclusive event on 11th Oct 2011 at Taj Lands End with star Shah Rukh Khan and producer Gauri Khan in attendance as well as CEO, Volkswagen India Neeraj Garg, Shahana Goswami and Taanaz Bhatia of Bottomline Media, the company responsible for putting the association together. 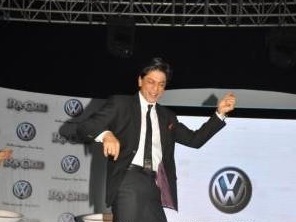 He then very wittingly talked about the ‘Chammak Challo’ craze and the request for it at every event and then proceeded to perform the steps completely adorably! 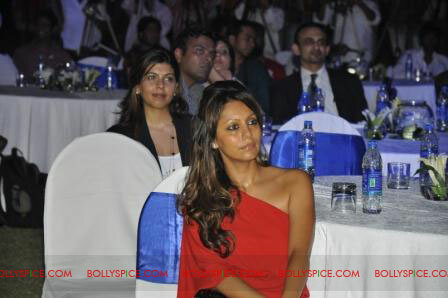 Next up to the stage was Gauri Khan looking gorgeous of course… When asked, “What is the most difficult thing about being a producer besides dealing with actors?” She laughingly replied, “Signing the checks.” They then joked the next big thing will be depositing all the checks! 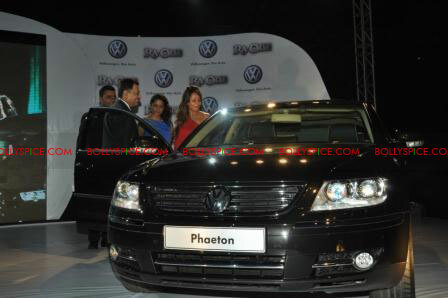 Volkswagen then presented her with a special black Volkswagen Phaeton, one of the car company’s luxury brands. 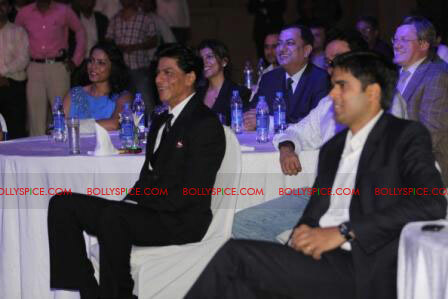 Check out these exclusive pictures from the event only on BollySpice.com!! 16 queries in 0.825 seconds.